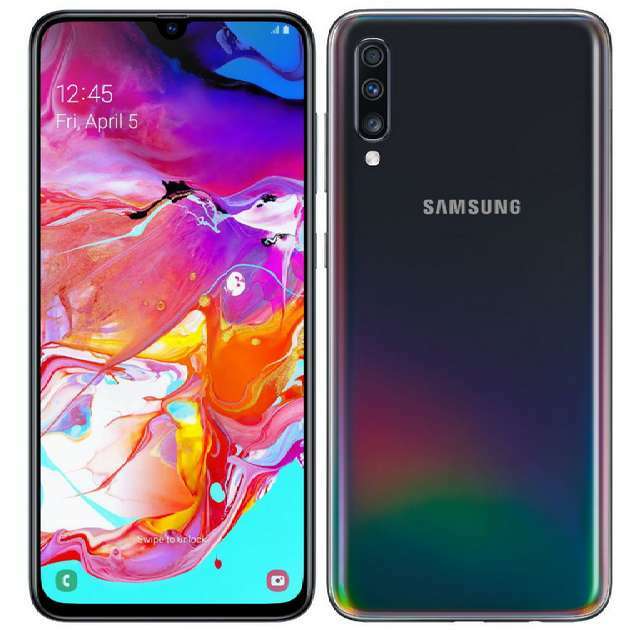 Samsung have heavily released several new smartphones since couple of weeks back in the new "A series" and "M series" to catch up with the saturated phone market that is mainly dominated by Chinese manufacturers in the most part of the world. 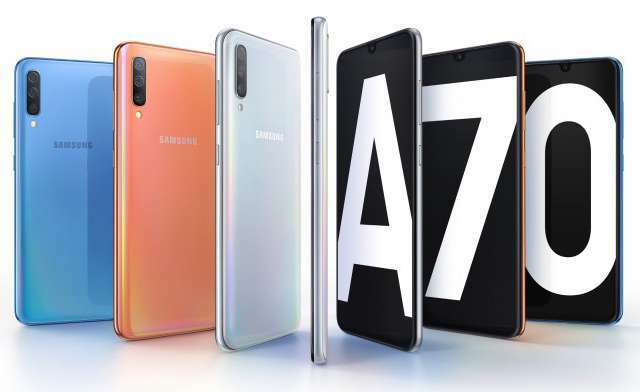 Today, we witnessed another birth of the company's latest mid-range device, the Galaxy A70 - it is here to join the A10, A20, A30, A40, and A50, all launched within the last four weeks. The major highlight of the Galaxy A70 is its front-facing 32MP camera and the triple camera it packed behind, which also has a 32MP main camera. In other words, the new Samsung phone have two 32MP cameras, the highest megapixel count we have ever seen on a Samsung phone. The other two rear camera are dominated by an 8MP ultra wide lens and a 5MP depth-sensing sensor. The front camera is tucked inside the waterdrop notch display (or Infinity-U as Samsung likes to call it). 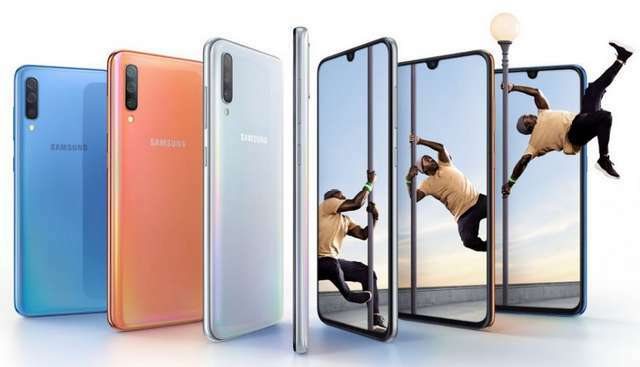 The Galaxy A70 screen is also the largest and the tallest when compared with the rest of its family - boasting a 6.7-inch Full HD+ Super AMOLED display with a 20:9 aspect ratio, the first ever seen on a Samsung smartphone, which brings cinema-wide-like experience. This hints Samsung is gradually setting the pace for a true cinema-wide 21:9 display just like Sony does. In the official press release the company did not revealed the name of the processor that powered the phone but simply mentioned 2.0GHz octa-core processor, but it is speculated to be a Snapdragon 675. It will be available in 6GB and 8GB RAM variants, both coupled with 128GB of expandable storage (up to 512GB via MicroSD card). Other features worth mentioning are in-display fingerprint reader, facial recognition, dedicated dual SIM slot, Android Pie, 3.5mm audio jack, and 4500mAh battery with Super Fast Charging. The phone has a 3D Glasstic body that is themed in Black, Coral, Blue, and White colors. Pricing and availability are expected to be revealed at the "A Galaxy Event" scheduled for April 10th. 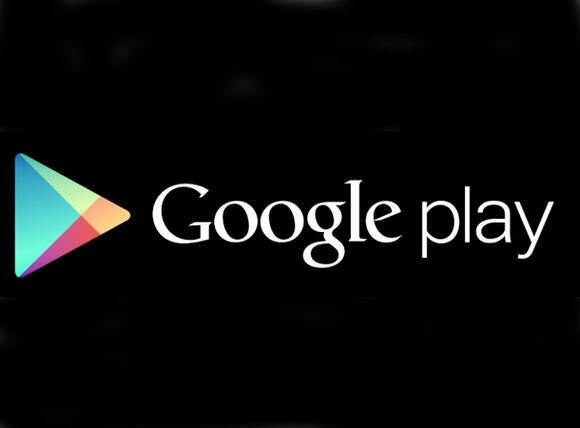 It will also be available at other third-party stores across the country. Samsung is offering its U Flex Bluetooth Headsets that worth Rs 3,799 for Rs 999 for those who order before the sales period.